No paranormal adventure to El Paso is complete without stopping at the Magoffin Homestead. Built in 1875, it was home to Joseph and Octavia Magoffin. Joseph was a star member of the community. Not only was he the mayor four times, he was the county judge, founder of the Union Pacific Railroad, and the co-founder of the first bank in the city. While the last Magoffin lived there until 1986, the family and others who stayed at the homestead continue ‘living’ there even after their death. 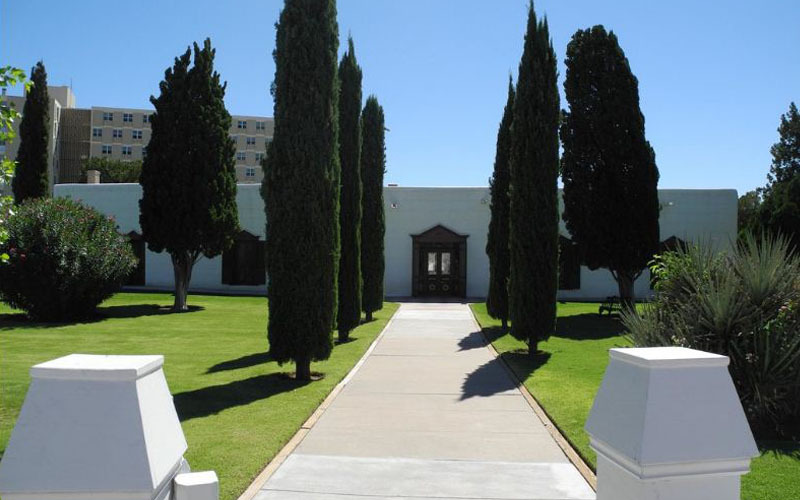 Paranormal investigators, mediums and paranormal enthusiasts from beyond El Paso agree that the Magoffin Homestead is haunted by three of its long-deceased inhabitants. Octavia Magoffin is especially active, brushing against visitors or singing one of the Italian Arias that were taught to society women. She may even be the tall lady in blue many claimed to have seen around the homestead. Another famous ghost is that of Uncle Charlie, Joseph’s cousin. According to the site manager of the homestead, he passed away in 1911, while napping in his favorite chair by the fireside. But he never really passed on. Some claim that the chair moves slightly as if someone is rocking themselves. Before you blame this on a draft, there’s more. If the chair is displayed farthest from the fireplace, it would mysteriously move back to its original spot. While the other ghostly residents of the homestead hardly interfere with the living, there’s one spirit that’s especially dark. Possibly a niece of one of the family members who lived there, she died waiting for her father after he who went off for business. Legend has it that the girl would sit on her bed, looking out of her bedroom window in hopes for his return. Today, if you visit that room, you can see a vase with a single rose, wrapped with a delicate silver necklace. The gift she asked and waited for all along. Whether she’s still waiting for her dad or simply angry for losing her life so early, the little girl hasn’t left the El Paso historical landmark. One of the visitors had the displeasure of crossing paths with her while she waited. While looking around the girl’s room, she noticed that the bed was suddenly imprinted by a little child’s behind. Since there weren’t any kids around, she became curious and took a step closer towards the bed. And that’s when the ghostly girl showed close to her face. Deathly pale with the darkest circles and blood specks around her eyes, she let out a shrill scream. It looked like she was throwing a tantrum. But it was too terrifying, so the woman ran away. So, this is one ghost you shouldn’t be crossing paths with. Especially if your heart can’t take it.